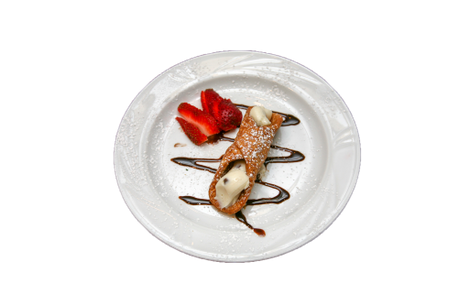 You are up for a treat when you come to Venetos Cucina Italiana and Pizzaria in Oceanside, CA! When you enter Venetos, you experience the ambiance of a quaint, traditional-style Italian restaurant and take in the unmistakable aromas of the exquisite Italian cuisine drifting from the kitchen. We serve authentic Italian cuisine and pizzas that are made to thrill even the most refined palate. The menu is only a guide. We will make you anything you like as long as we have the ingredients. . Below are some of the delicious homemade dishes that we offer. Lightly battered squid served with marinara sauce. Lightly breaded mozzarella cheese, oven baked and topped with our homemade marinara sauce and a bechamel cream sauce. Fresh sliced mozzarella, tomatoes and basil in olive oil. Toasted garlic bread topped with fresh diced tomatoes, basil and olive oil. Baked eggplant topped with marinara sauce, grated Parmesan and melted mozzarella cheese. Sautéed seasoned bottom mushrooms in a Marsala wine sauce. An assortment of Italian cold cuts and provolone cheese, served with garlic marinated vegetables in an Italian dressing. Served with a cup of our house marinara sauce. Chicken breast sautéed in sweet marsala wine and mushrooms over pasta. Lightly breaded chicken breast topped with marinara and melted mozzarella cheese over pasta. Sautéed chicken breast in olive oil, garlic and white wine lemon sauce. Served over pasta. Grilled sausage with sautéed green peppers and onions tossed in penne pasta with marinara. Spaghetti or penne pasta served in our homemade meat sauce. Potato dumplings with Roma tomatoes, fresh garlic and basil. Flat slender noodles sautéed in a rich cream sauce. Long flat pasta with baby clams sautéed in garlic and olive oil in a red or white wine sauce. Layers of tender noodles baked with seasoned meat and cheese topped with marinara sauce. Meat or cheese ravioli in your choice of our marinara or meat sauce. Cheese stuffed tortellini in a rich and creamy pesto sauce. Penne pasta topped with ricotta, marinara, and melted mozzarella cheese sauce. Baby spinach, goat cheese, black olives, candied walnuts and crisp pancettain a warm pancetta dressing. Chopped romaine lettuce, grilled chicken, Gorgonzola, cranberries and candied walnutsin a raspberry vinaigrette. Chopped romaine lettuce, cucumber, Roma tomatoes, carrots, red onions and fresh marinated Ahi tuna. Chocolate frosted chocolate cake. Chocolate! Chocolate! Chocolate! Small 10" - Medium 14" - Large 18"
White sauce, ricotta, fresh basil and garlic. Mozzarella, marinated eggplant, tomatoes and fresh garlic. Mozzarella, grilled chicken, red onion and fresh cilantro. Mozzarella, buffalo sauce, grilled chicken topped with Gorgonzola cheese. Mozzarella, tomatoes, olives, onions, green peppers and mushrooms. *Prices may vary with additional toppings. Our offers do not stop there! We have an array of other dishes that are an absolute must-try—from pasta and salads to wine and desserts.